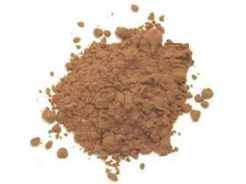 The brown cacao liquor or cocoa liquor (aka cocoa mass) is produced by grinding up cacao beans/nibs. During grinding, the natural cocoa butter in the beans melts and the cocoa beans become a paste when they are ground, which is called cocoa liquor. Cacao liquor appears before the chocolate, cocoa butter, cocoa powder and all other chocolate products. You can definitely enjoy the cacao liquor simply because itself is unsweetened chocolate! Strating from cacao liquor is much easy for us to make chocolate by ourselves becuase it allows us not to use professional grinder to grind cacao beans. Except for eating cacao liquor directly, we can also add it into our breakfast. It can be combined with agave nectar or other sweetner to take.Grind and add to raw ice creams for the best chocolate chips in the world. Create a raw chocolate bar and so on.